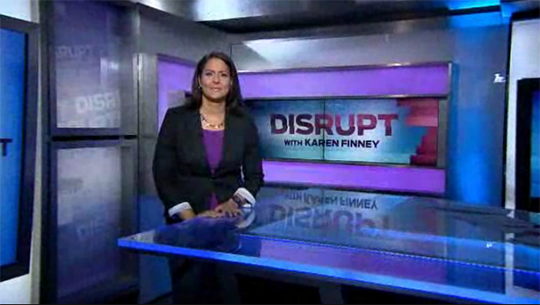 “Disrupt with Karen Finney” debuted this past weekend on MSNBC and broadcasts from the same crammed corner as Martin Bashir. The show featured most guests via remote on the first broadcast. This isn’t surprising, given the tight space on the set. The set is located right off the main MSNBC studio, making it easy for camera operators to transition to “The Ed Show,” directly following. 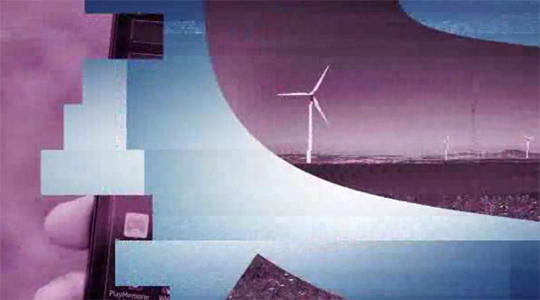 Using a blue and purple color palette, the shows graphics use simple rectangle bars “disrupting” images during the open. 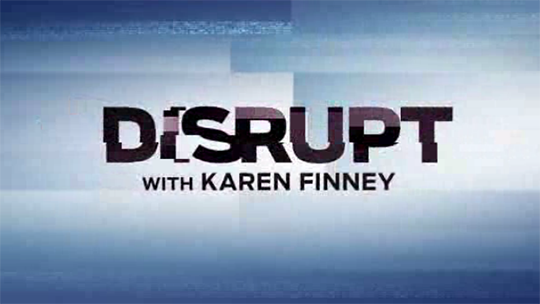 The shows logo then appears, misaligned, creating a “disrupted” effect.